Christopher Stark Wood is considered the “Founder of Lima,” with a history that goes hand in hand to the area’s earliest days. 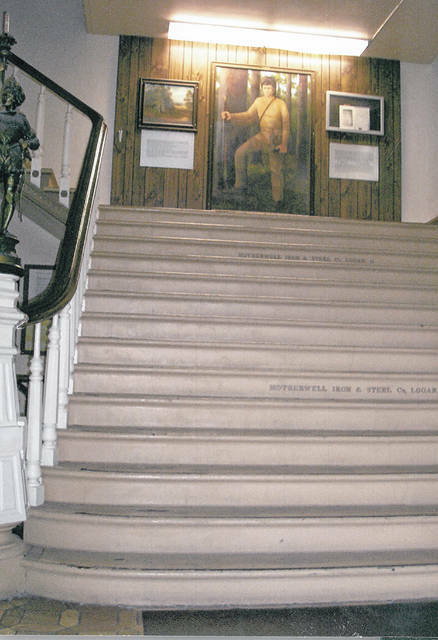 A Wood portrait was at the Allen County Courthouse. A portrait of Wood, made in his later years. Wood’s tombstone. He is buried in Athens, Indiana. 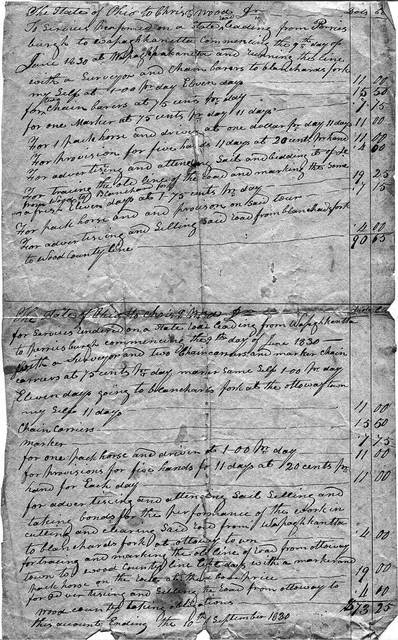 A bill, dated Sept. 10, 1830, shows Wood charging for surveying work. He charged $1 a day for his troubles. Wood is buried in Athens, Indiana, after he was killed in a railroad accident. LIMA — It was April 1824, and Christopher Stark Wood was on the move. 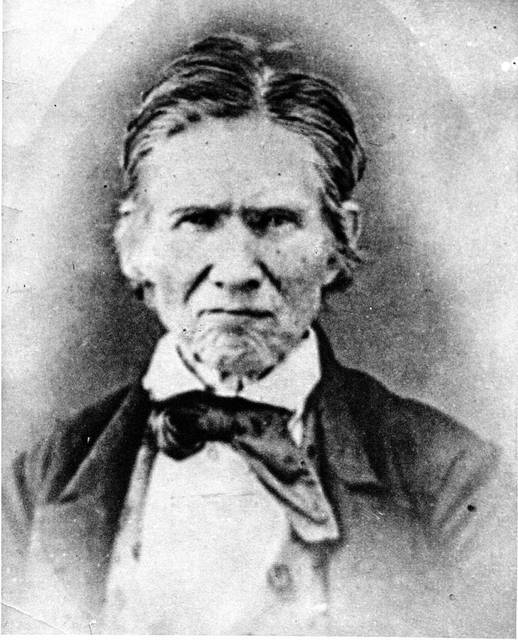 Wood was always on the move; had been since picking up his Kentucky long rifle at the age of 15 and marching with Benjamin Logan against the Shawnee villages at Mac-a-cheek near present-day West Liberty. By the time he married 18-year-old Mary Ann Turner in 1797 at Washington, Kentucky, on the Ohio River, the 25-year-old had been fighting on the Ohio frontier for a decade in what became known as the Northwest Indian War. Settling down only slowed him down. Following familiar routes up the Little Miami and Mad rivers, he would move his wife and growing family ever northward into Ohio, settling first in Warren County, then Champaign County, then Logan County. Now, early on that spring morning in 1824, with his sons, Albert and Joseph and son-in-law Benjamin Dolph, the now-50-year-old Wood again set off to the north, blazing a trail to the Shawnee town of Wapakoneta and then down the Auglaize River to the still-standing Fort Amanda near the abandoned Tawa Town. Wood was finally home. “Wood became the first town director, the first justice of the peace, the first Sunday school teacher, and his house served as the first church,” the Lima News noted April 19, 2006. Hackman, writing for a book on Wood sponsored by the chamber of commerce and Allen County Historical Society, called him “Allen County’s first settler and the ‘Founder of Lima.’” Lima City Council in 1953 proclaimed April 20 as “Christopher Stark Wood Day,” although later research would show the date should have been April 2. Wood was born March 9, 1772, in Washington County, Pennsylvania, to William and Sara Ann Stark Wood. In 1784, his father, a Baptist minister, moved the family to Limestone, Kentucky. At Limestone, the young Wood met the legendary frontiersman Simon Kenton, who became a lifelong friend. 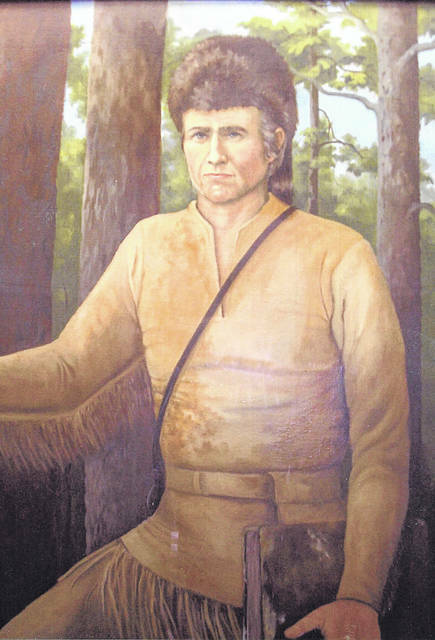 “From Kenton, he would learn the skills of the frontiersman — expert marksmanship with the Kentucky long rifle, the ability to read the signs of the forest, Indian combat and the knowledge of survival in the forest,” Dale Archer wrote for an article in the Dec. 17, 1972, edition of the Lima News. Four years later, he was among more than 200 Kentucky volunteers who marched north from Cincinnati with General Josiah Harmar to attack Miami and Shawnee villages in the area of Fort Wayne, Indiana. After two defeats at the hands of Indians led by Miami chief Little Turtle, the volunteers fled back south. A year later, in November 1791, Wood was among 1,400 men who marched north and straight into the greatest military disaster the young nation had suffered. This time, when they marched back south, they left behind more than 600 dead comrades at what would become Fort Recovery. “Two years later he once more shouldered his musket and joined the army of General Anthony Wayne,” Archer wrote. “Now he was no longer a young soldier, he was a veteran scout and Indian fighter.” On Aug. 20, 1794, Wayne’s legion along with Kentucky militia defeated a combined force of Shawnee and Miami along with a company of British soldiers at the Battle of Fallen Timbers near the present-day city of Maumee. The battle ended major hostilities in the region. For the Ohio Indians it marked the beginning of the end. An 1817 treat at Fort Meigs near Toledo confined them to scattered reservations, including those at Wapakoneta and on the Hog Creek in Shawnee Township. Fifteen years later even these were gone. Wood, meanwhile, returned to Kentucky after Fallen Timbers. 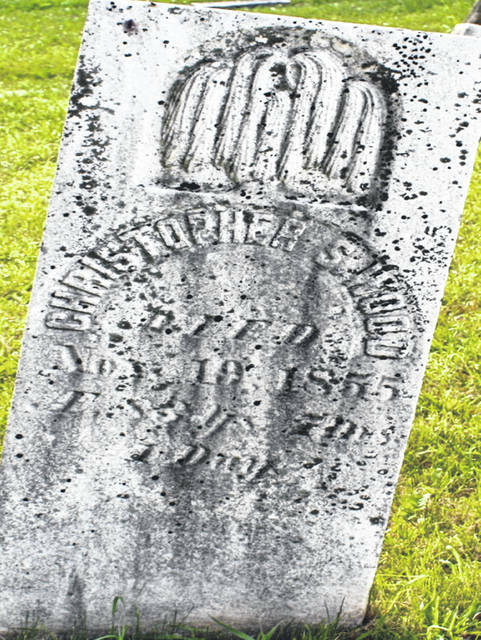 “He began this new phase of life by marrying 18-year-old May Turner on Oct. 6, 1797, and began the northward trend that would end for him in Allen County Ohio,” Archer wrote. 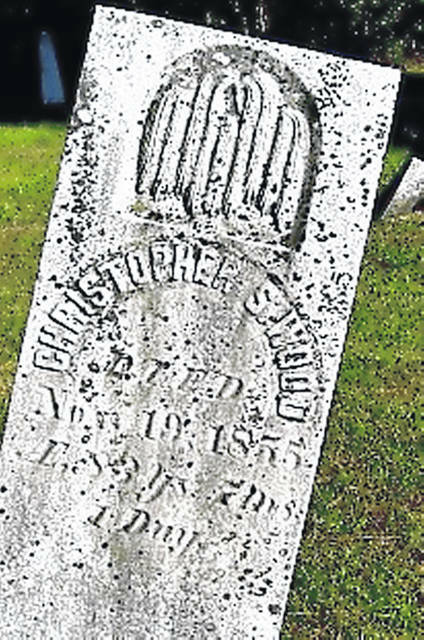 In 1799, he was part of the Brush Creek Settlement in Warren County; by 1805, he was living in Salem Township in Champaign County, near where he’d helped destroy the Mac-a-cheek villages 20 years earlier. After serving as a captain of scouts for General William Henry Harrison during the War of 1812, he moved his family to Lake Township, Logan County. 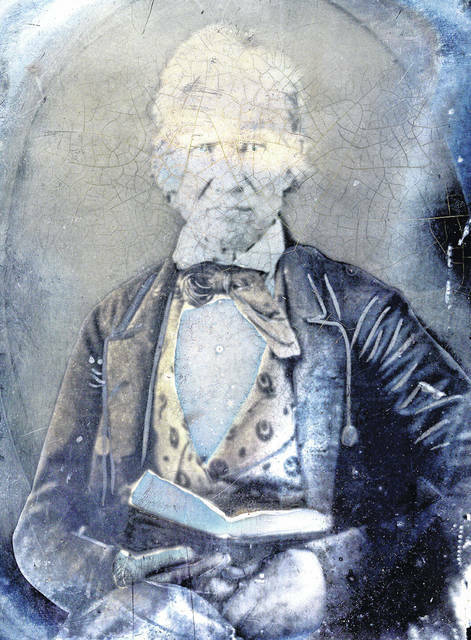 While in Logan County, he helped organize the town of Bellefontaine in 1818 on what had been until then Blue Jacket’s Town, according to Archer. In April 1824, Wood left to settle the Allen County land he had purchased at the Piqua Land Office, which was opened in 1819 to sell the former Indian lands that became available after the 1817 Fort Meigs Treaty. “So heavily forested was this land at the time that it was only by accident that the settlement on Sugar Creek and that on the upper Hog Creek discovered they had been neighbors for two years,” Archer wrote, noting that a lost hunting party from the Sugar Creek settlement stumbled on the cabins of the Hog Creek settlers, who, led by Samuel McClure, had arrived in 1825. In September 1826, Wood became the first resident office holder in the area when he was commissioned as a justice of the peace by Gov. Jeremiah Morrow. Three years later, Bath Township was organized and Wood became the clerk of the trustees. “This was the first organized government within the bounds of what is now Allen County, and the jurisdiction of these trustees extended over much of what is now Allen and Auglaize counties,” Archer wrote. The administration of Allen County in those days was handled by Shelby County and then Mercer County, both of which had been settled earlier. That changed on Feb. 9, 1831, when, with Allen County’s population growing, the state Legislature authorized Allen County to be organized and directed the commissioners “to appoint a town director to cause a town to be laid out” as county seat, according to Archer. Not surprisingly, Wood, who by this time had also been appointed as one of the judges in the new county, was selected. “As town director, Christopher Wood laid out a 160-acre plot of ground which was to be the city of Lima and its boundaries were North Street on the north, West Street on the west, Tanner Avenue (now Central Avenue) on the east, Water Street and Hog Creek on the South,” Archer wrote. Wood died as the result of a railroad accident in northern Indiana on Nov. 19, 1855, and is buried in Athens, Indiana.